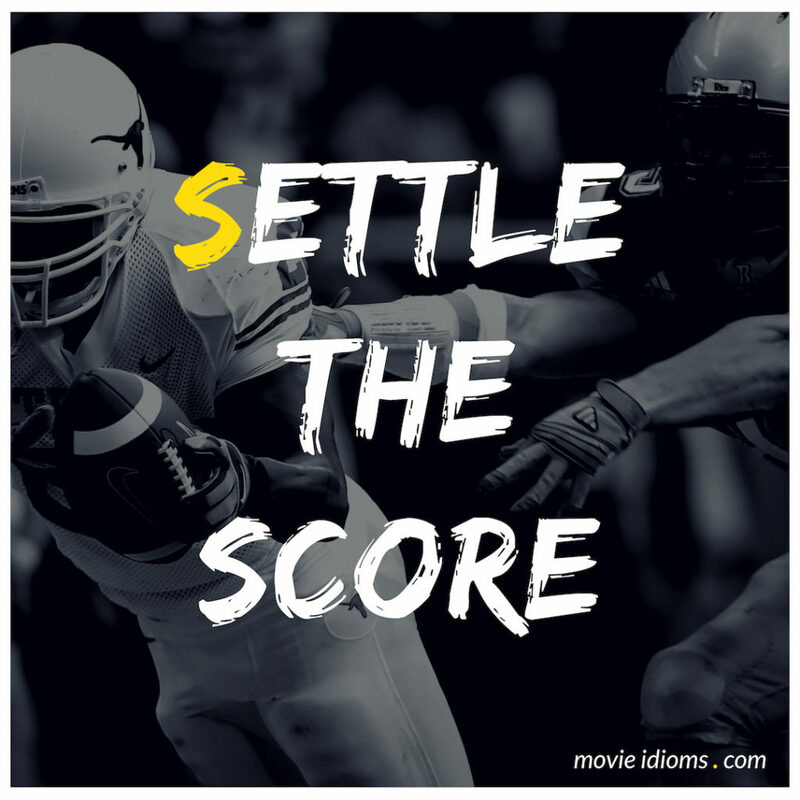 What does settle the score mean? Dexter Morgan: It seems that my foster father and my biological mother were having an affair. It’s bad enough I can’t shake the visual, but the question’s did he blame himself for her death? Is that why he took me in? Did he love her? Or was he just using her? Was he using me? I always thought Harry’s code was on-the-spot creative problem-solving, but maybe he planned for me to settle the score all along. It’s times like this I wish I really were a drug addict. Announcer: They never forgive. They never forget. And this summer they’re coming back again to settle the score. Again! Chris Bradford: All right, let’s settle the score, pond-scum! Donatello: We’re the ones who didn’t want to throw you off the roof!